Want to put movies, TV shows, videos into your Apple TV? Install Xilisoft Apple TV Video Converter and start converting your favorite video files so you can start watching them on your TV! Supported files are AVI, MPEG, WMV, RM, RMVB, MOV, MKV, and 3GP, then turn them into Apple TV MP4 (MPEG-4, H.264), FLV and MOV videos. Audio files (WMA, MP2 and OGG), including the ones extracted from videos are also supported. Additional Options such as customizing file size, splitting file, and setting various parameters such as frame rate, bit rate, and channel are available. 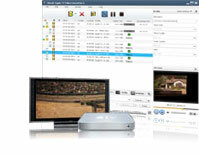 Supported video formats: AVI, MPEG, WMV, RM, RMVB, MOV, MKV, 3GP to Apple TV MP4 video, FLV and MOV. Supported audio formats: MP3, WMA, WAV AAC, AC3, MP2, AIFF and OGG to Apple TV supported MP3, AAC, and WAV. 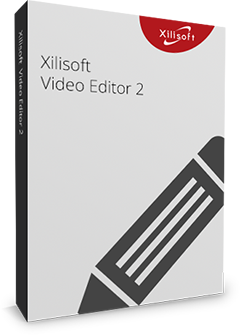 Xilisoft automatically checks your CPU for dual-core or multi-core processor, so that it will maximize the speed and convert in the fastest way possible. Introduce NVIDIA CUDA & ATI Stream technology to increase Apple TV video conversion speed up to 5x. Offers a lot of parameters for your adjustment. You can save the modified parameters as your own profile for future use. Load one file and convert to several different file formats simultaneously. Clip a segment only - Set start time and duration to a certain clip you want to convert. If a file is too large, you can split it to several small ones by setting the split time or split file size. Run the converter in the background while you do other tasks on your computer. Preview the original or edited video in the built-in player (which is resizable and can be used as a stand-alone player with 4:3 and 16:9 zoom modes), take a snapshot of a scene you like and save as JPEG, PNG, GIF, or BMP picture. Allows you to manage your system power in this Apple TV video converter.